The weather in Crested Butte can be harsh, and the Gunsight Bridge has withstood bitter winter cold and the heavy spring run-off for over 130 years!! Unfortunately, those years have taken a serious toll. The bridge is falling apart and needs to be redesigned and rebuilt. 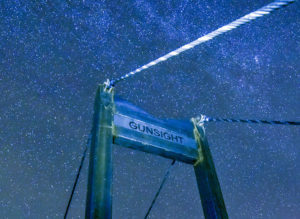 Upwards of 100,000 people use the Gunsight Bridge throughout the year. It serves as a connection between the most popular trails in the Gunnison Valley – the Lupine Trails in the Slate River Valley, and the Lower Loop Trails connecting to the town of Crested Butte. Originally designed in the 1880s, the Gunsight Bridge has a storied history as part of the Denver Rio Grande Railroad leading to Smith Hill Mine. As the users of the Gunsight Bridge have changed from miners and railroad cars to hikers, bikers, and skiers, the design of the bridge has remained the same. Unfortunately, the ecology and hydrology of the Slate River were not well understood in the late 1800s when the bridge was built. 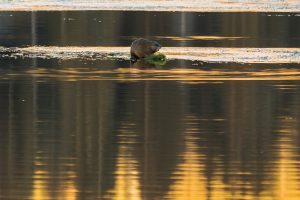 Beaver and Great Blue Heron habitat are in jeopardy if we don’t replace the bridge. Gunsight Bridge is far too narrow for the river, and it is poorly aligned. The river is forced into a sharp, unnatural turn just before the bridge, scouring the bridge materials, and severely eroding the banks of the river. The piers are rotting and deteriorating. What’s worse, the bad design of the bridge is threatening the wetlands downstream. Without natural water flow, the wetlands are compromised, and with them go their ability to protect against floods, purify water, and provide valuable habitat. We’ve known this, and we’ve been sharing the information with you for years. We have also been hard at work with ecologist and engineers, and are excited to start construction of a new bridge in the fall of 2018. In 2017, we conducted micropile tests. These tests showed us that the soil is stable around the bridge, and it can support the weight of a cable bridge. We have finalized the design of the new bridge to enhance the wetlands downstream, restore valuable wildlife habitat, and provide safe recreational access. As with all of our properties, when the Land Trust purchased the Gunsight Bridge in 2003, we promised to care for it forever. You can make sure that the Slate River wetlands stay healthy by contributing to the Gunsight Bridge replacement and wetland restoration by clicking the donate button below.